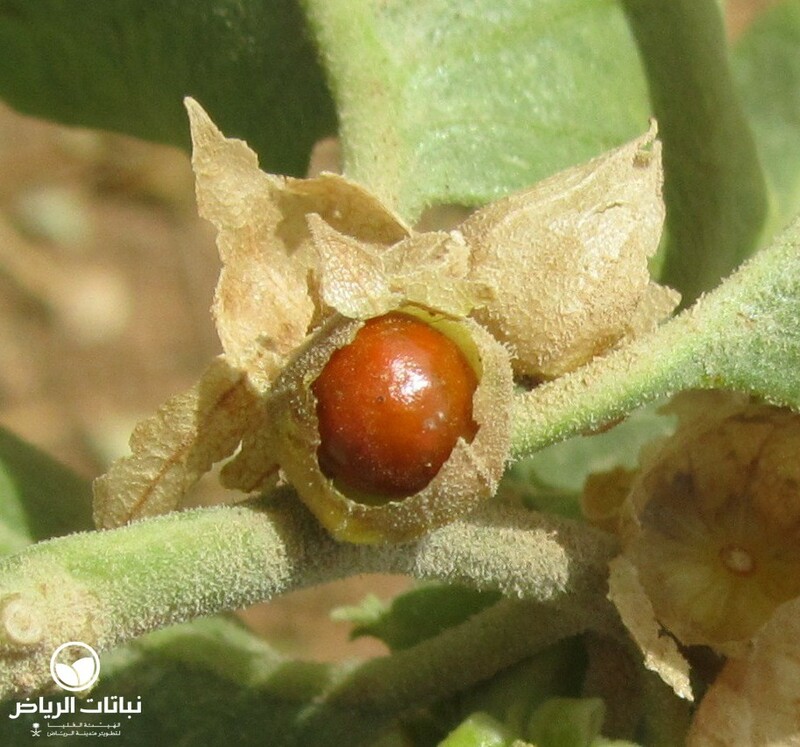 Withania somnifera has several common names such as Indian Ginseng, Winter Cherry and, in Arabic, sum al far. 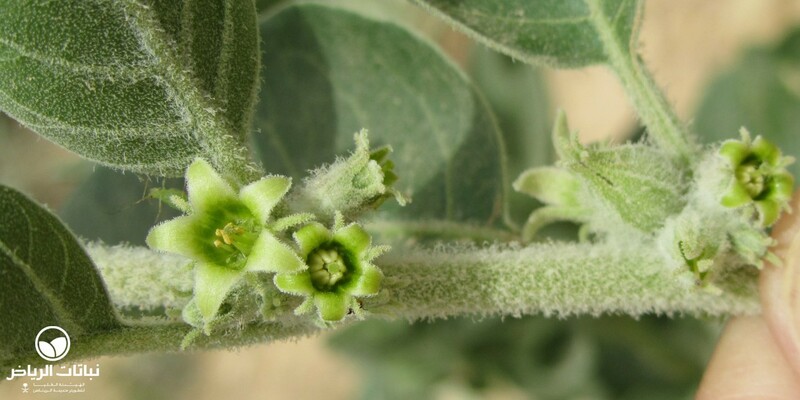 It is a perennial or better shrub that is distributed within India, Africa and the entire Arabian peninsula. 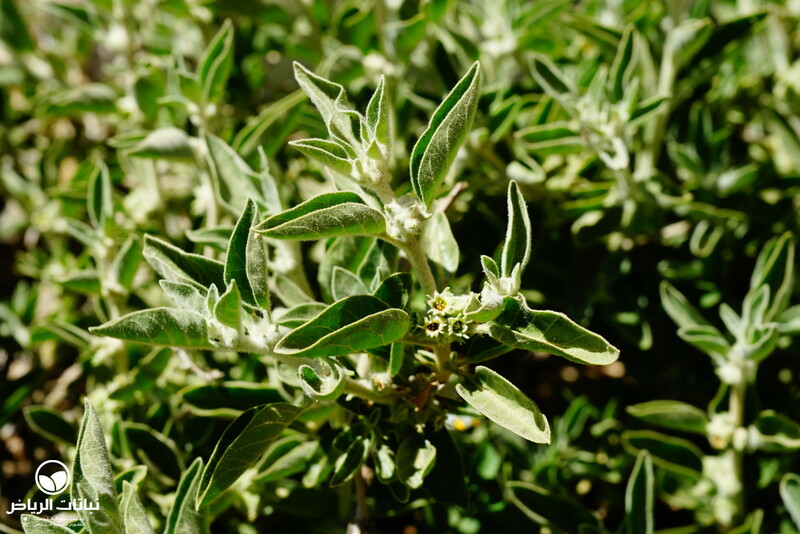 In Indian Ayurveda medicine, it is a popular remedy, and the name means something similar to sweaty horse, based on the flavour of the roots. 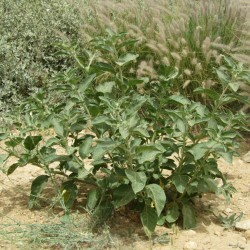 Sum al-far grows up to a height of 150 cm and attains 1 metre in width. 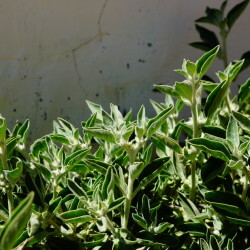 It is fast growing and develops a conical dense crown. 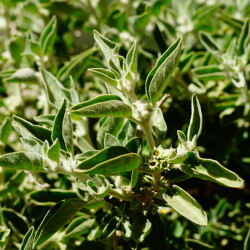 The deciduous foliage is green with oppositely arranged leaves. 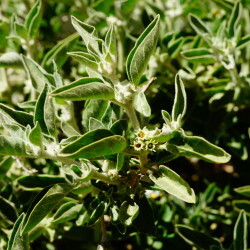 The leaves are 10 cm in size, and ovate. 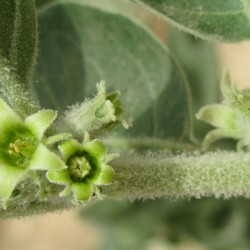 The bloom is very small, and whitish-green. 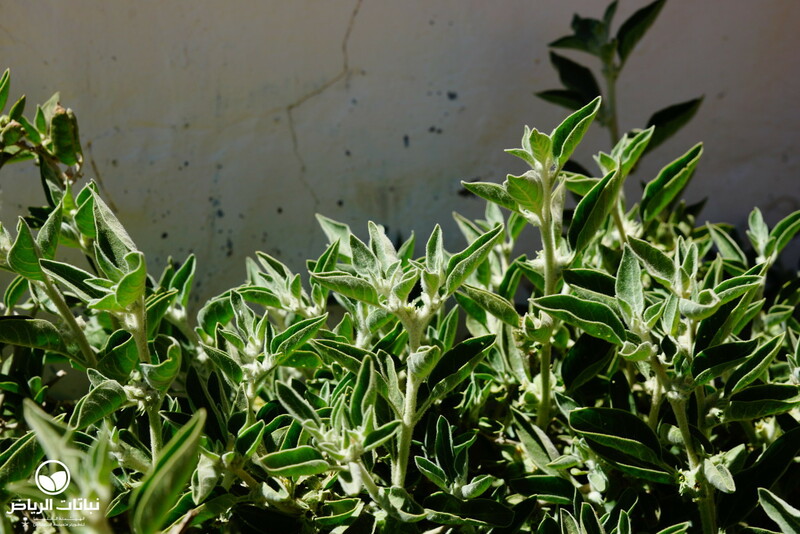 The flowers appear in summer. 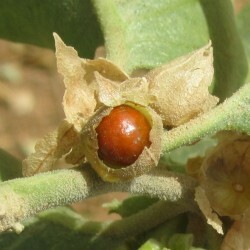 The fruits are roundish berries, 5 mm in size, with a bright-red colour. Propagation is by direct sowing. 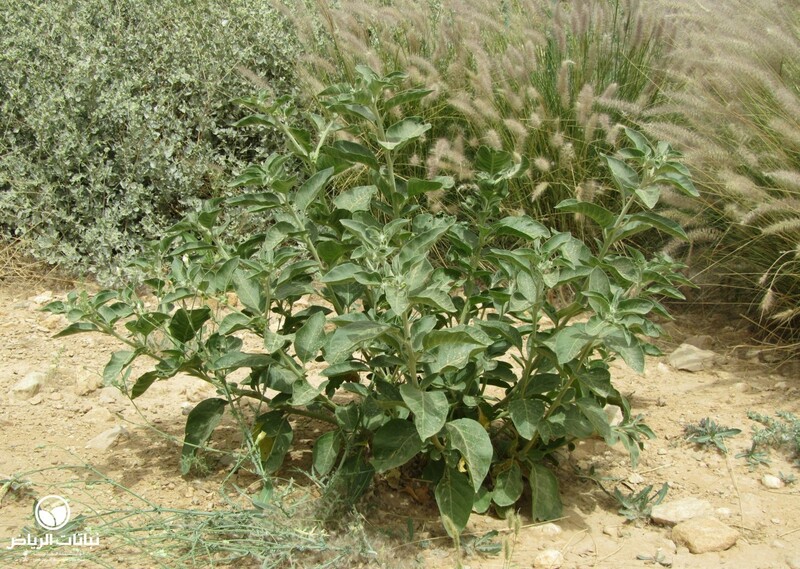 Soil requirements are low, with the plant growing on sandy or silty soil. 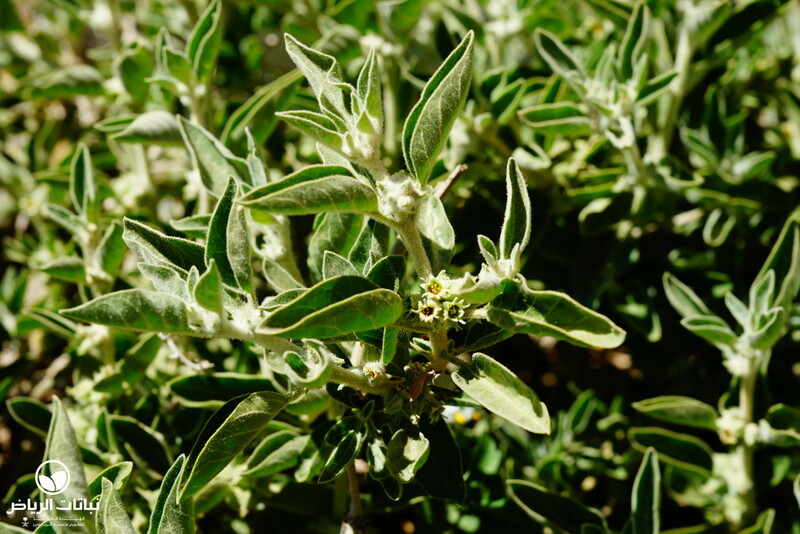 W. somnifera can withstand temporary droughts, but also grows in moist soil. Irrigation is not required after establishment, but growth will be improved with some watering. Salinity should not be greater than medium. 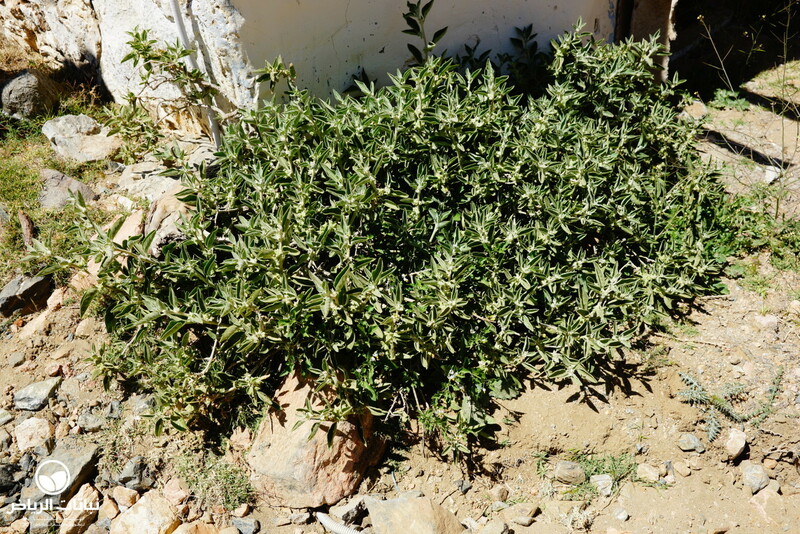 Sum al far is not very hardy, which means that it will die back in strong winters. 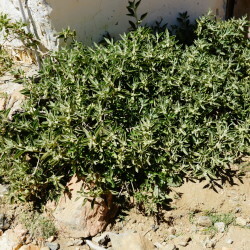 In Arriyadh, it can be found in the Wadi Hanifah lake area, where it grows next to the shore in sheltered situations with some shade. 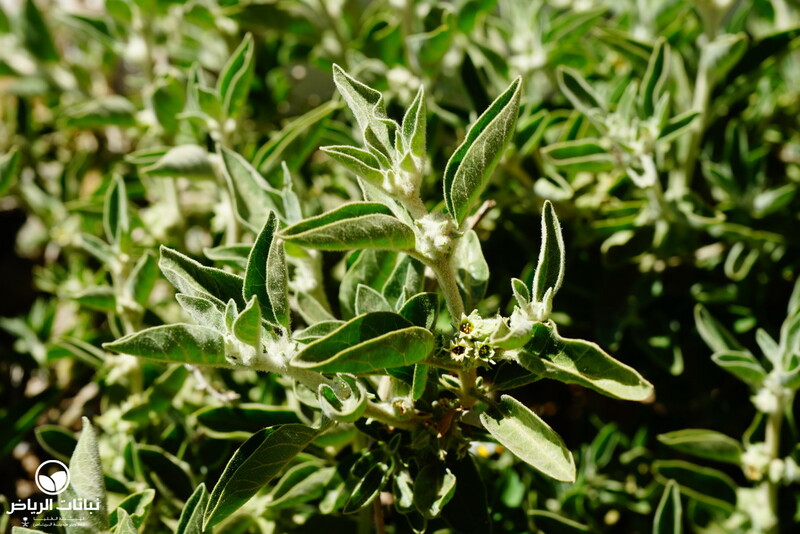 For landscape design purposes, it can be recommended for situations such as a coloniser in open country as groundcover and as a small hedge. 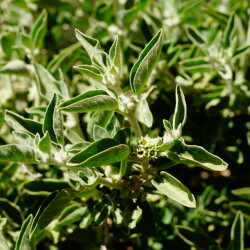 However, with its fresh dark green foliage, it will also be pleasing in sheltered private gardens and courtyards.